We have expertise in helping companies that have struggled to raise the business funding that they need elsewhere. 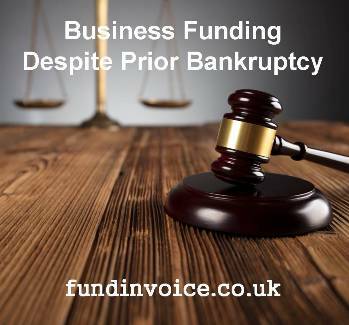 There can be for many different reasons, but one that we are currently working with is a company where the Director is a discharged bankrupt. Bankruptcy is where an individual cannot pay their debts (they are insolvent) and either they petition a Court to be made bankrupt, or they are delcared bankrupt following a petition by one of their creditors. An Insolvency Practitioner will orchestrate this process on behalf of the petitioning party. Personal bankruptcy tends to work such that after the first year, a person may become “discharged”, although it is not always the case, and is at the discretion of the bankruptcy trustee. Once a person is discharged, this releases them from the debts which were covered by the insolvency arrangement, and it also relaxes the restrictions of that arrangement. Again this is not always the case, and the terms may be varied at the discretion of the trustee or the Court. You may think that in a world that relies so heavily upon your credit report and credit score, that you won't be able to raise money for your business after being made bankrupt. This is not the case so don't give up hope of ever being able to raise business funding again. Once a director has been discharged, they may still able to access business funding for their company, from the factoring and invoice financing sector, but you need to know who to speak to. Not all invoice finance companies are prepared to handle such situations, but there are a growing number that will take a sympathetic view, where a director has had prior personal credit problems. The key reason for this flexibility is that a factoring company is able to look at the value of the company's book debts, and use those as security for the advance, rather than looking at the personal net worth, or credit standing of the directors of the company. Call Sean on 03330 113622 if you are having trouble finding finance for your company, and need some help from sympathetic lenders. Can I Access Invoice Finance With CCJs?